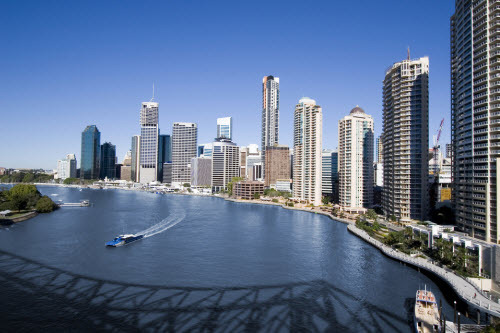 Discover cheap holiday packages to Brisbane from New Zealand. Once overlooked by Australia's more well-known tourist hot spots, Brisbane has reinvented itself. Over the years, it's become a must-visit destination for foodies with its world-class dining and quirky bars. Plus its great outdoor activities and famous year-around sunshine have all made it a worthy holiday destination for a trip Down Under. .
Is planning your trip to Brisbane stressing you out? Are you tired of spending hours researching hotels and looking for flights? Browse Webjet's exclusive holiday package deals and find the best flight and hotel combo to suit your needs. Our packages include affordable flights to Brisbane and hotel stays for the duration of your stay. Let Webjet do all the legwork and help you find the perfect New Zealand to Brisbane holiday package. .
Brisbane is the third largest city in Australia; and is surrounded by a bustling metropolis and adventurous outdoor activities. For Kiwis it's the perfect holiday destination, with an average 126 sunny days a year and direct flights from NZ; you can be relaxing in Brisbane in under four hours from Auckland. Another drawcard is Brisbane's affordability. Backpackers can grab a dorm room for only AUD 20 per night, while those looking for something more private can find decent hotel rooms without breaking the bank. A meal at a good restaurant with drinks is usually around AUD 50, and there is a free bus that runs around the city centre from Monday to Friday. Brisbane also has activities to suit everyone's budget. The city is 30-minutes away from the Moreton Bay Region. You can spend a day hiking through the dense forests, exploring shipwrecks or wine tasting. The Redland coast is nearby and is perfect for solo travellers, couples or families that want to explore as much of the region's natural beauty as possible. .
1. Money: The official currency is the Australian Dollar. There are plenty of ATMs located around the city, and you'll get a better exchange rate by withdrawing cash once you arrive. 2. Electricity: Australia and New Zealand both run their electricity at 230 volts and use the same two or three pin plugs. 3. Entry Requirements: Thanks to the Trans-Tasman Travel Arrangement, New Zealanders don't need a visa to visit Australia. The freedom of movement policy means you'll get a free unlimited stay stamp in your passport on arrival. 4. Language: The majority of locals in Australia speak English. However, there are several other dialects spoken in the different communities. 5. Weather: The best time to visit Brisbane is from March to May. With warm temperatures and little rain, you'll be able to enjoy an average of eight hours of sun per day. Winter and spring are also popular times to visit thanks to the mild temperatures. But if you're looking for the best possible deal, visit Brisbane during its wet season. You'll find better airfare deals if you can handle the humid and soggy weather. 6. Getting Around: Brisbane has a combination of buses, ferries, trams and trains that make it easy to navigate the city without hiring a car. You'll only need your own set of wheels if you plan on visiting some of the city's outer regions like Moreton Bay or the Redlands..
7. Drinking Water: The tap water in Brisbane is safe to drink. 8. Wi-Fi: If you need to get online, connect to the free Wi-Fi available in 22 parks and public spaces across Brisbane.